This musical journal introduces you to Andrea and Peter Schafer, third generation Polish-Americans, and the heritage they love. 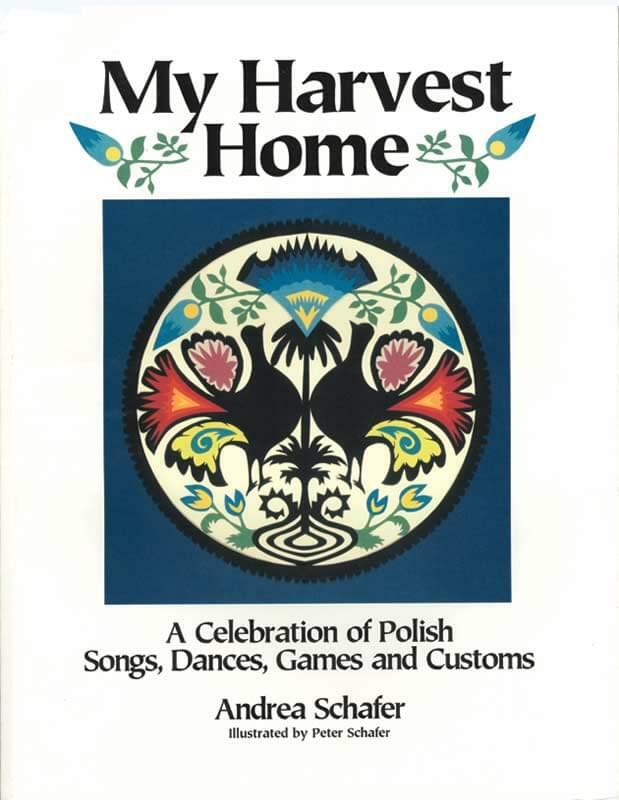 My Harvest Home is a heartfelt collection of some of Andrea's favorite songs, dances, games, sayings, and customs from a variety of regions of Poland -- customs that are very much alive in the homes and hearts of Polish-Americans from Chicago to New York to Wisconsin. The Schafers not only share with you a taste of Poland's cultural richness, but also give you a springboard to activate your students' imaginations, to enhance a music, social studies or E.S.L. curriculum, or simply to guide you to a greater appreciation of the heritage of so many Americans. The Schafers are members of a professional Polish folk dance troupe, that brings Polish music and dance into American life and builds bridges of understanding through presentations of Polish culture. Join them on this wonderful musical journey!